Despite there being no action at M&T Bank Stadium for the next eight months, the Baltimore Ravens will not cease football operations. New general manager, Eric DeCosta will have to decide which free agents should return in 2019, and which the Ravens should allow to relocate from Baltimore. He will need to cut his teeth quickly, as the Ravens have many prominent free agents available in 2019. The future of the Baltimore Ravens depends on what DeCosta can do with this class of free agents. Here is a list of all Ravens free agents in 2019, their positions, ages, and free agent classification. UFA – unrestricted free agent. Once a player’s contract expires, they become an unrestricted free agent and can sign with any team in the league. RFA – restricted free agent. Once a player reaches his third year in the league and his contract expires, he becomes a restricted free agent. Restricted free agents are given an offer from their original team, but may test the market and negotiate with other franchises until precisely one week before the NFL draft. If a restricted free agent accepts a deal from another franchise, the player’s original team can match the deal to keep him in the organization. If a team declines to match the deal, that team could receive a draft pick in exchange for the player. ERFA – Exclusive rights free agent. Exclusive rights free agents are players who have played in the NFL for two or fewer years whose contracts expired. The player can be tenured by a team with a qualifying offer, usually, the league minimum salary and that player cannot negotiate with other teams. He must sign the deal or sit the year out. According to Spotrac.com, the Baltimore Ravens are projected to have $34,608,619 in cap space in 2019, assuming no moves are made. The Baltimore Ravens can and will increase that number by removing quarterback Joe Flacco from the roster. Whether Flacco is traded or released does not actually matter in the realm of cap space. It would be more beneficial for the Ravens to trade Flacco, as it would give Baltimore extra draft capital, but Baltimore can release him with the same penalty incurred. The Ravens will free up $10.5 million in cap space by removing Flacco but will take a $16 million cap hit. By adding $10.5 million in extra cap room, the Baltimore Ravens will have 45,108,619 million in cap space for 2019. With a ridiculous amount of cap space behind them, the Ravens can begin to spend money. Baltimore’s first target in the offseason will be C.J. Mosley. The inside linebacker has played phenomenally well since being drafted in the first round of the 2014 draft by the Ravens. According to Spotrac.com, Mosley’s market value should be around $9.7 million per year. Ideally, the Ravens would secure Mosley on a five-year deal. To accommodate to Baltimore’s financial situation, the Ravens could backload Mosley’s contract like they did Brandon Williams’. This would pile more money on the later years of the contract to give Baltimore flexibility as they phase out Joe Flacco’s contract. 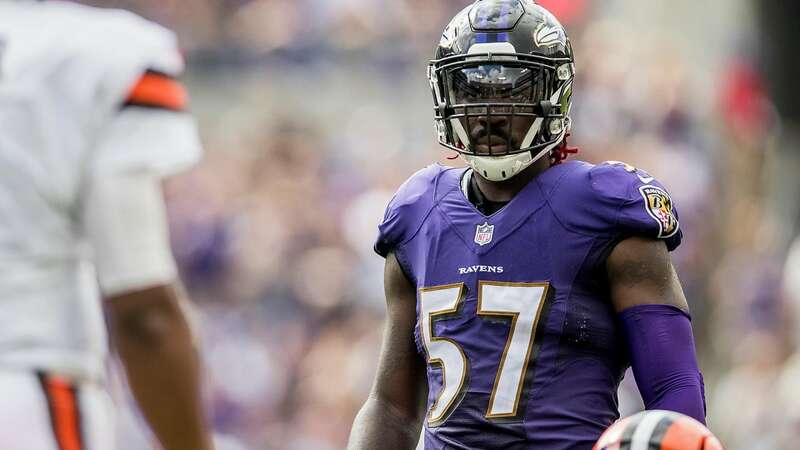 While it’s very likely that the Ravens will try to backload Mosley’s contract, for the sake of this exercise, I will assume the Ravens give Mosley a 5 year, $50 million contract, with an exact yearly cap hit of $10 million. This would leave the Ravens with $35,108,619 remaining in cap space. Baltimore will then move on to re-signing two key players, backup quarterback Robert Griffin III and outside linebacker Za’Darius Smith. The market value of both Robert Griffin III and Za’Darius Smith is hard to predict. Griffin could attract offers from teams that need a backup quarterback, and could even be a stop-gap quarterback for a year. Many backup quarterbacks can earn somewhere between $2 million to $4 million. If I had to guess what Griffin’s market value is for 2019, I would estimate it to be roughly $3.5 million per year. If the Ravens bring him back on a two year, $7 million deal with each year being worth $3.5 million, Baltimore’s salary cap margin will drop down to $31,608,619. With Griffin re-signed, the Ravens can move on to negotiating with Smith. Za’Darius Smith’s market value cannot be accurately estimated at this point. His value will be greatly affected by which other outside linebackers hit the market. Right now, star players like Jadeveon Clowney and Anthony Barr would hit the market if free agency started today. Older veterans like Clay Matthews and Ravens’ own Terrell Suggs would hit the market too. A team looking for a young pass rusher would undoubtedly look at Smith and see an opportunity. But what would that team be willing to pay Smith? It’s all relative to what the market dictates, but if I had to put a number on it today, I’d say that he’s worth about $26 million over 4 years, similar to what Whitney Mercilus got in Houston. The Baltimore Ravens could likely offer Smith $28 million over 4 years and get away with it. Assuming his cap hit is equal to his yearly average salary, his 2019 cap hit would be $7 million. The loss of that $7 million would lessen the salary cap space to just $24,608,619, but despite its lowering, the Ravens would still have wiggle room to make more maneuvers. Baltimore will be motivated to re-sign running back Ty Montgomery, as the team traded for him during the season. The Ravens could probably offer him an $8 million, 4-year deal, and re-sign him. The Ravens will also likely offer the league minimum to two ERFAs. By doing this, the Ravens can keep the players that took on large roles in 2018, and have more time to evaluate those that did not. Players like Matt Skura and Gus Edwards are sure-fire tenders by the Ravens. ERFAs De’Lance Turner, Jermaine Eluemunor, and Quincy Adeboyejo will be evaluated to potentially receive the tenders as well. At the league minimum, the total to keep Skura would be $720,000, and Edwards $570,000. After this flurry of moves, the remaining salary cap room would stand at $21,318,619. The Baltimore Ravens could then use this money to offer big target free agents, retain other UFAs, and match any offers given to the RFAs. The Ravens will almost certainly extend offers to ILB Patrick Onwuasor and DT Michael Pierce. Both are playing at a high level, and Baltimore can ill-afford to lose either. The cost for each could vary greatly, as the players could field big offers from other teams. Baltimore will be competitive in attempting to keep both, however. I can’t see Onwasuor getting any more than $5 million per year from another team, but Pierce could get $6 to $7 million if the market dictates it. The Ravens can also expand the salary cap wiggle room by making some other roster alterations. Baltimore can save $6.5 million by cutting safety Eric Weddle, and entrusting the free safety position to a younger player in either DeShon Elliot or Chuck Clark. Baltimore could also cut Jimmy Smith and save $9.5 million. Another option would be to restructure his contract to lessen the burden in 2019 or get him to take a pay cut. If the Ravens did cut Weddle and Smith, it would free $16 million in cap space. The Ravens are almost certainly going to let multiple free agents walk without putting up a fight. Longtime Raven and future Hall of Fame inductee, Terrell Suggs, would be unlikely to return to Baltimore for a 17th season. The 36-year-old will turn 37 in October. The Ravens lowered his snap count in 2018 to accommodate to the fact that Suggs could not handle the amount of work he used to undertake. The Ravens will also let wide receiver, John Brown, walk as well. Brown played extremely well for the Ravens while Joe Flacco was the quarterback but simply did not fit well into the Lamar Jackson offense. Brown will strike a big deal on the market in 2019, and it would be foolish for the Ravens to pursue him again for him to barely be seen on the field.